Custom training plans to fit your life schedule. Bike Fit, Fitness Testing, Private Lessons, Indoor Wattage Cycling Class Instructing, Coaching. I have been racing bicycles since 1994. 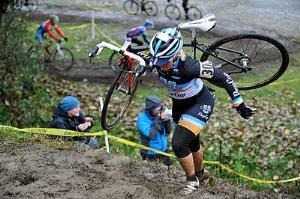 I have experience in MTB (raced professionally in downhill, crosscountry, and dual slalom), Road (Cat 2), Cyclocross (Elite), BMX (expert in 20"). I enjoy coaching and teaching everything that I have learned through all of my riding and racing experience, and giving back to the cycling community. I am also a mom, so I understand training with limited time very well. I am a Level 2 USAC Cycling Coach and owner of Bergs Coaching Services. Success. Coach Kristi Berg has been notified of your message.